Check out the shine on this card. 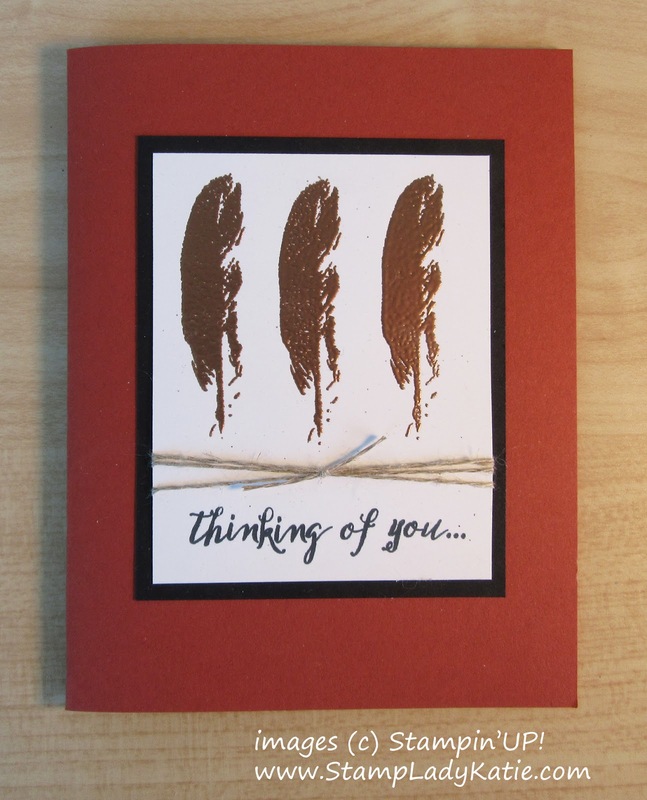 The feathers are heat embossed using copper embossing powder. 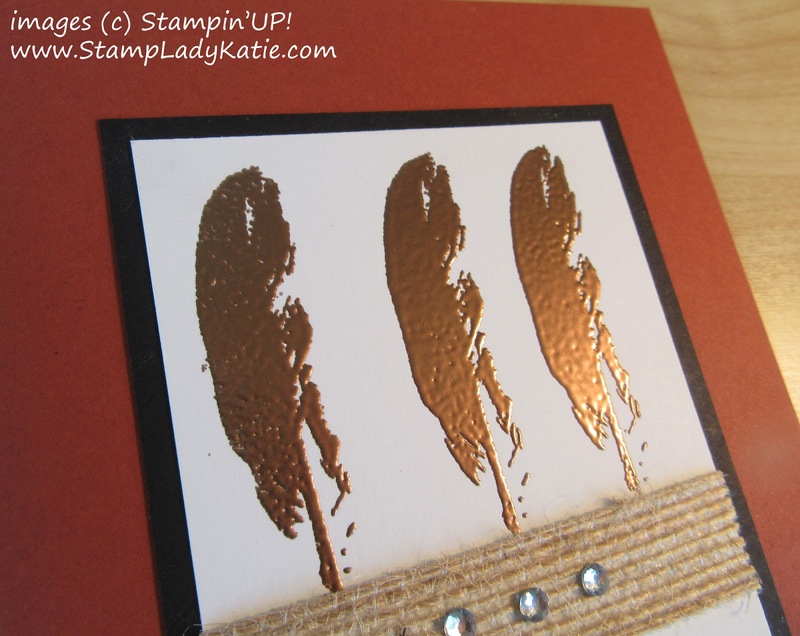 I absolutely LOVE how well the copper powder melts and the creamy metallic shine you get with this product. 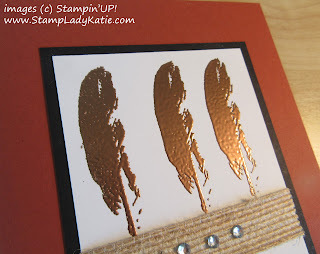 Heat embossing is a great way to make anything "pop" on your project, but this copper stuff is great! For comparison check out this card that uses gold embossing powder. Here's a close-up view of the feathers. An embossing powder - which is a special mix of color and a plasticy/metallic stuff that will melt at a temperature lower than the paper will burn at. 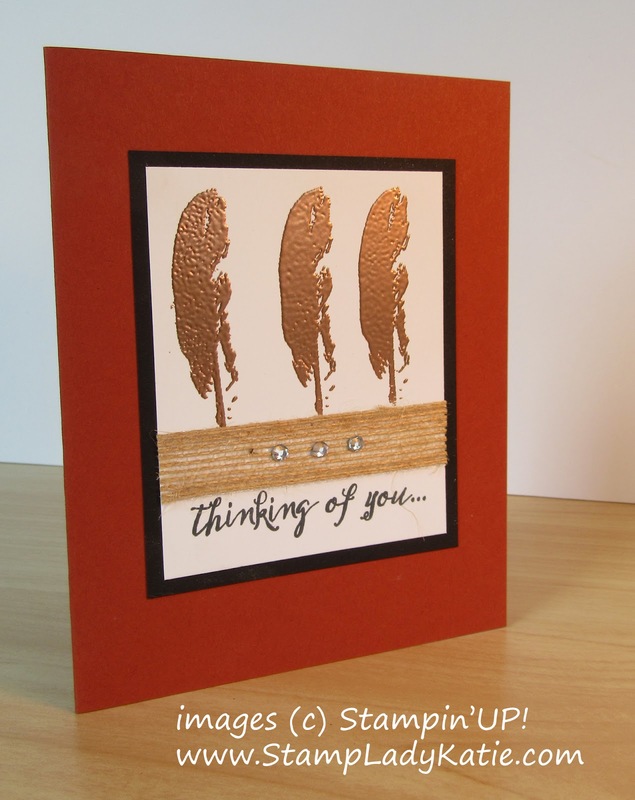 I used Stampin;UP! 's Copper Embossing Powder. a sticky ink to hold the embossing powder to the paper while its being heated. I stamped my image using Versamark. 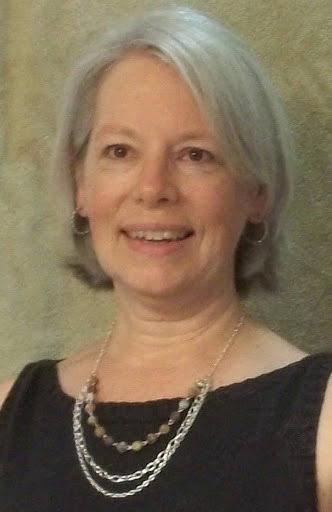 A heat source - I confess I once used my oven!, but a heat tool works so much better. 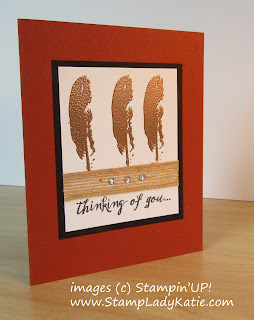 The copper embossing powder coordinates nicely with Cajun Craze paper. 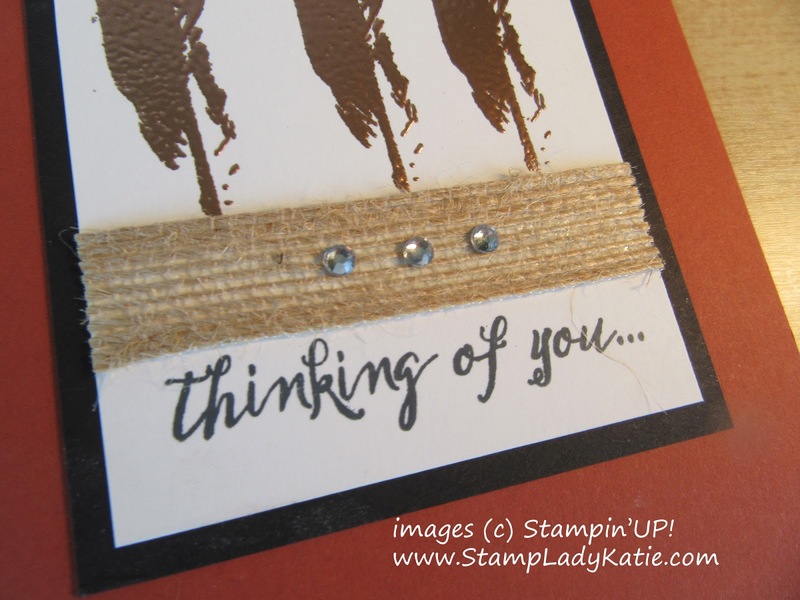 And the Burlap Ribbon is a nice embellishment - it kind of fits with a rustic, natural theme for the card. In fact the new burlap ribbon is very thin, its easy to wrap around the paper and the rhinestones stick to it really well. 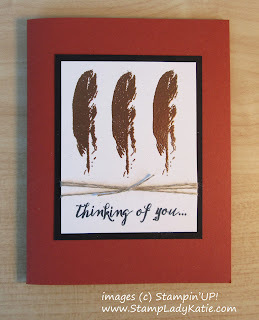 If you don't have the burlap ribbon you could always make the card with linen thread.